Sponsored Parent Visas – Finally, The Details You Need To Know. As we have noted in our earlier blog articles, there is a new Temporary Sponsored Parent Visa which commences on 17 April 2019. 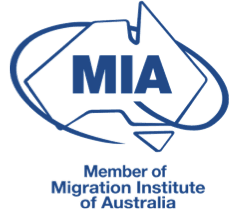 Until now, the detail about this visa has been hazy to non-existent, but now the associated Regulations have been released, and we are able to join up the dots for you and provide you with accurate up to date information about this new visa. The new visa is the Subclass 870 visa, Temporary Sponsored Parent Visa. Subclass 870 visas are for the parents of Australian citizens, Australian permanent residents and eligible New Zealand citizens. Temporary visa holders may not sponsor their parents, nor may Provisional visa holders, which means that first stage Partner Visa Holders (Subclass 820 & 309) may not become Parent Sponsors or sponsor their parents. Where a couple is composed of an Australian permanent resident/citizen/eligible New Zealand citizen and a temporary visa holder, the permanent resident/citizen/eligible New Zealand citizen will be able to sponsor their own parents, but not the temporary visa holder partner’s parents. Even where both parties are Australian permanent residents/citizens/eligible New Zealand citizens, a maximum of two parents may be sponsored at any given time. How long can my parents stay? The maximum number of years a parent may stay is 10 years. The visas are granted for either 3 years or 5 years, and a parent must leave Australia when the first visa has expired. They may only apply for a subsequent Subclass 870 visa outside of Australia (unless exceptional circumstances apply), and only when he/she has a new approved sponsor – who may be the same person as the initial sponsor, but they must be re approved as a Parent Sponsor first. How many Temporary Sponsored Parent visas will granted per year? The initial limit will be set at 15,000 visa grants per year. How much does A Sponsored Parent Visa cost? A 5 year visa costs $10,000, and a 3 year visa costs $5000, however the first instalment is only $1000. The second instalment must be paid just prior to the visa grant. Each parent must apply for their own visa separately, which means that having two parents in Australia for 10 years on two Subclass 870 visas, will cost a family $40,000! Contrary to our earlier understanding, because the sponsor is liable for any medical costs incurred by their parents, there is no Assurance of Support required for this visa type. 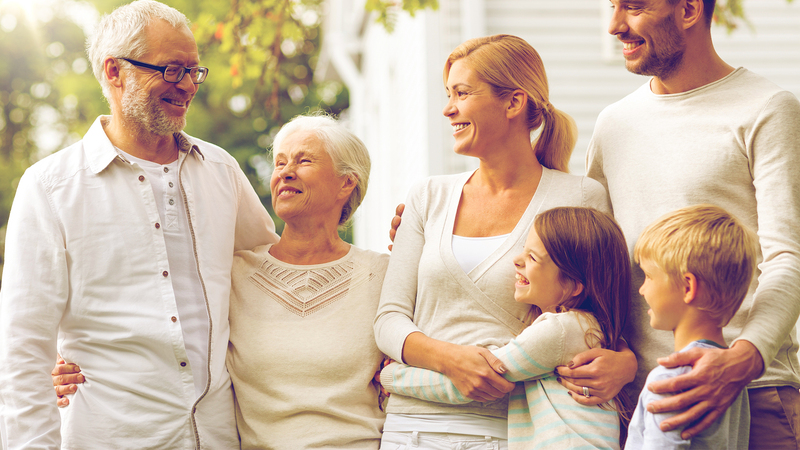 Does my sponsored parent need private health insurance? A parent applying for a Subclass 870 visa must hold “adequate” health insurance, and continue to hold it for the duration of their stay. When my parents are in Australia, can they apply for other visas? A parent living in Australia and holding a Subclass 870 visa, cannot apply for any other parent visa whilst in Australia. They may however apply for other visas if they meet the requirements for those visa types. A parent must depart Australia at the end of their Temporary Sponsored Parent visa if they intended to apply for another one. A parent cannot make a valid application for another Subclass 870 visa if they have held Subclass 870 visas for a total of 10 years. Can my parents work when they are in Australia? There are no work rights attached to this visa type however Temporary Sponsored Parent Visa holders will be able to provide support and care for minor grandchildren, and a including domestic child care (i.e childcare for grandchildren whose parents are working). Parent Sponsorship – What is it, and what does it mean? The new Regulations have set up “Family Sponsorship” and have created a class of Sponsor called a “Parent Sponsor”. In order to be granted a Temporary Sponsored Parent Visa, a Sponsored Parent Visa applicant must be sponsored by an approved Parent Sponsor. Do I have to be approved as a Sponsor, before my parents can apply for their Subclass 870, Sponsored Parent Visa? Despite earlier speculation, it appears that the Sponsor application, and the Visa application can be lodged together, provided the Sponsor application is lodged before the Visa application. This seems to confirm that the Sponsorship does not need to be approved prior to the visa application being made – simply that the Parent Sponsor application must have been lodged – and there is no requirement in the Schedule 1 criteria of the visa (i.e. the requirements for a valid visa application) for a Sponsorship to be approved prior to lodgement of the visa application. How old must a Parent Sponsor be, and what else does a prospective Parent Sponsor need to know? A Parent Sponsor must be at least 18 years of age. A Parent Sponsor must satisfy their Sponsorship Obligations, which relate to provision of parental support, payment of any outstanding public health debts incurred by their sponsored parents or themselves, and providing information to the Department of Home Affairs upon request or if certain events happen. A Parent Sponsor must meet a minimum income threshold and have a taxable income of at least $83,454.80. Where the Sponsor does not earn this much, siblings and partners of the Sponsor can combine their income, including partners and siblings who are not permanent residents. A Parent Sponsor applicant will be required to provide police checks from Australia and any other country they have lived in for 12 months or more since the age of 16, and the Sponsor must consent to disclosure of their police checks to the parent visa applicant. How much does a Parent Sponsorship application cost? A Sponsor application costs $420. What happens if my Parent Sponsorship application is refused? Parent Sponsor applicants who have their applications refused, will be able to seek a review of the decision at the Administrative Appeals Tribunal. What happens if the Parent Sponsor dies? Where a Sponsor dies, their spouse or de facto partner may apply to take over the Sponsorship. The parent must hold a Subclass 870 visa and the application must be made within 90 days of the death of the spouse or de facto partner. Are there any limitations to sponsorship? The maximum people that may be sponsored at any one time is two. A person cannot apply to be a parent sponsor if they are already a parent sponsor, or they or their partner has a pending application that is not finally decided. Further, if the sponsor and/or their spouse or de facto partner has been a previous Parent Sponsor, no further approvals of a Parent Sponsor application can be made if three or more previously sponsored parents have not left Australia or have been granted permanent residence. Once this happens, the person becomes an “ineligible Sponsor” under the regulations. If I become an approved Parent Sponsor, what my obligations? Sponsors are subject to Sponsorship Obligations, and if breached, the Department of Home Affairs may cancel the Sponsorship or bar the Sponsor from future Sponsorship. Obligations to keep records that the Minister specifies. Obligations to provide those records to the Minister if requested to do so. Obligations to provide information to Immigration when certain events occur e.g. updates with respect to contact details, relationship status etc. Obligations to pay outstanding public health debts of a sponsored person. Obligations to support sponsored parents financially and in respect of accommodation. If I become approved as a Parent Sponsor, when does the approval cease? If the Sponsor is a permanent resident, Sponsorship will cease if the Sponsor’s permanent visa is cancelled. If the Sponsor withdraws their Sponsorship. When their parent does not apply for the visa within six months of the Sponsorship approval. The Sponsor Parent’s Subclass 870 visa ceases. It is worthwhile to note that some Sponsorship obligations continue to exist even if the Sponsorship ceases. In particular the former Sponsor remains liable for debts to the Commonwealth (i.e. health debts/Social Security etc). Need more information or assistance with Parent Sponsor and Temporary Sponsored Parent visa advice? Please contact us on +61 3 9573 5200 and we will arrange a consultation with you to explore all your options. Alternatively, you can book a consultation with us here.